charming, but up close, you could see it needed a little love. If your workspace is currently even just a little bit cluttered, you better believe it's affecting your inspiration, productivity, and drive. These are five of my favorite go-to tips to boost that environment rating and find more happiness in your work day. Assess your equipment and even the little nonsensical things, like your desk accessories. Is there anything that you've had forever that could use a little upgrade? My Coach mouse pad was over seven years old. There was nothing wrong with it other than some wear and tear, but after that many years of usage, you can imagine it had certainly seen better days! A quick hunt on Etsy quickly led me to this adorable shop. 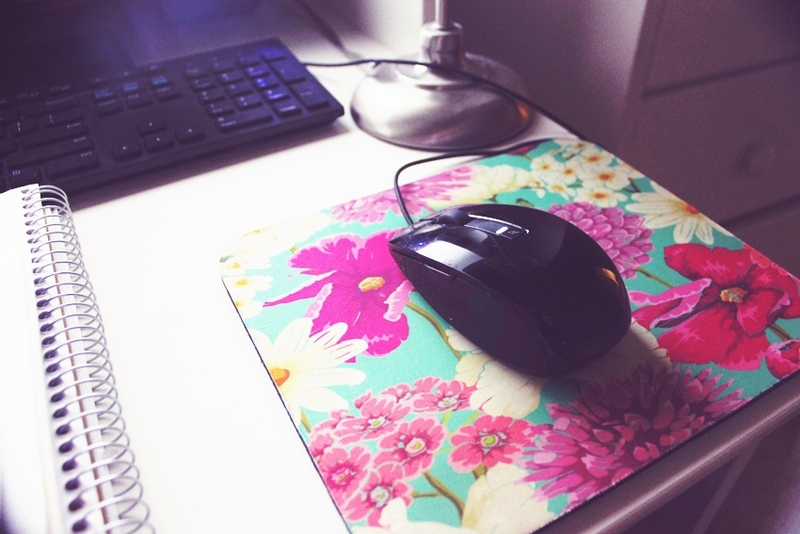 Her mouse pads are thick, great quality, and feature the most delightful patterns. My broken printer was an easy 'trash it' decision (and I can't even tell you how relieved I felt after throwing it away), however, it begs the question, why did I hold onto it for so long? It's time to snap out of that mindset and have a field day with your trash bag! Get rid of notes you don't need, pens that are running dry, and swag from conferences that you know you're never going to use. Everything on your desk should be working and usable. 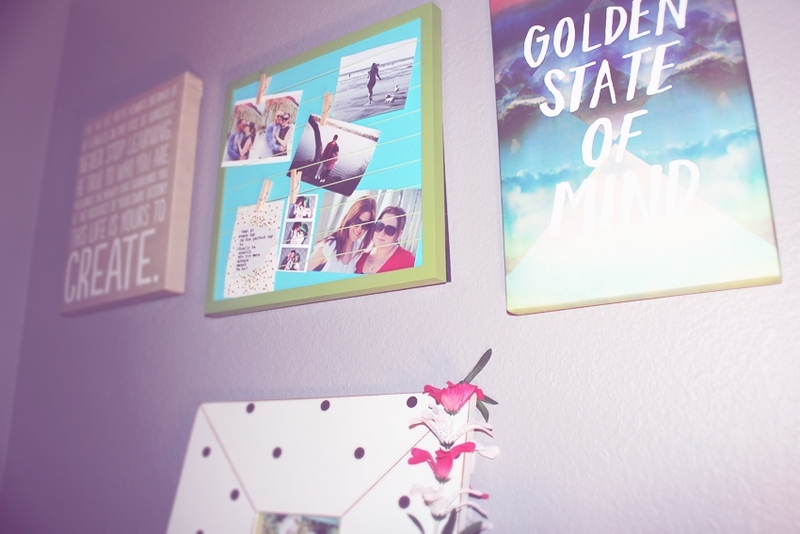 The 'Golden State of Mind' canvas art hanging above my monitor, the various framed photos of family and friends, and even a little note card I bought at Trader Joe's that says, "My Favorite Thing Is To Go Where I've Never Been." What messages will fuel your motivation when you find yourself stuck in a rut? One of my favorite desk accouterments is a white brocade file holder from The Container Store. While I have a larger plastic file bin for papers I don't frequently access, I keep all of my 'of the minute' files right where I can see them. Some of the folders I keep in my desktop file include: Gift Certificates, Travel, Inspiration, and Blog. In the midst of my cleaning frenzy, it was immediately obvious how long it had been since I had last gone through said files. Anything that's of frequent and immediate importance? Keep it in sight. And make it a point to review and go through your files quarterly. Clear out your inbox, unsubscribe from newsletters you never read, organize your desktop icons, keep back-ups of all of your important files, and make sure your computer is healthy and up-to-date. This step may continually feel like an on-going, major work-in-process, but once it's done, it will feel unbelievably amazing. Make it a point to check in on all of these areas quarterly. 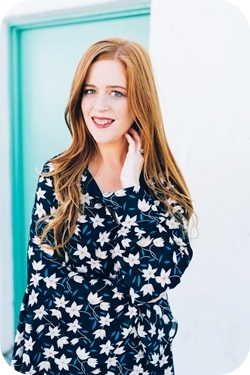 Immediately, I felt lighter, happier, and more inspired to get things done. 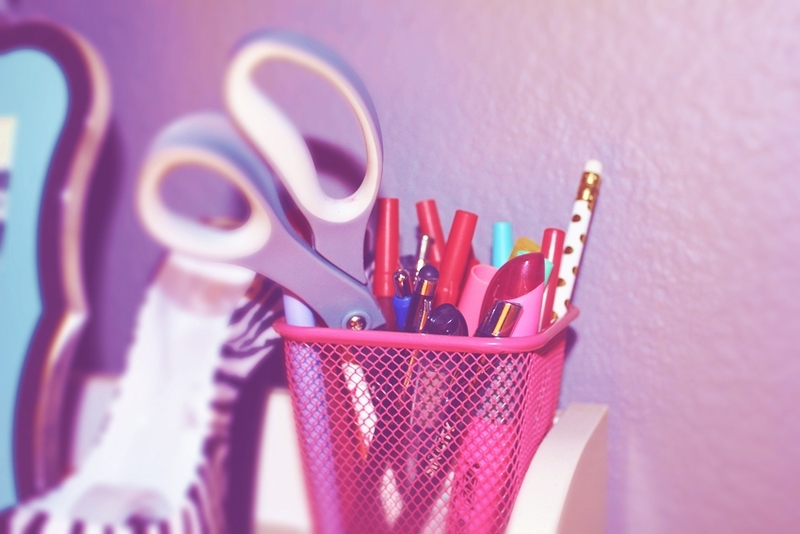 Here are some of the tools and equipment I love that keep my home office neat, organized, and inspiring! I can't even gush enough about how much of a difference it made spending two hours refining my desk and work area. Between scrubbing, dusting, downsizing, and up-leveling, I felt the fruits of my labor nearly immediately. And I even find myself spending more time at my desk as a result!